Today I’m talking about the dangers of sitting and the incredible advantages for our health and our weight of reversing that. We’ll be delving into some practical strategies, and there’s also a free worksheet for you to download, so be sure to read to the end! 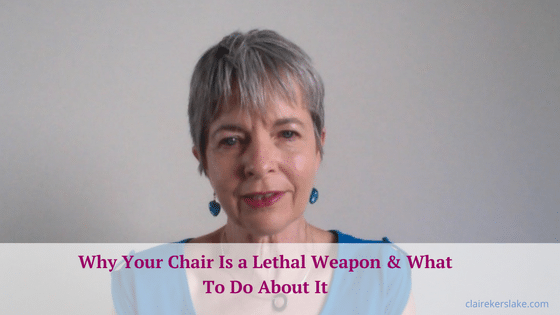 I’ve recently read two books by Dr James Levine – Move a Little Lose a Lot and Get Up: Why Your Chair is Killing You and What You Can Do About It. 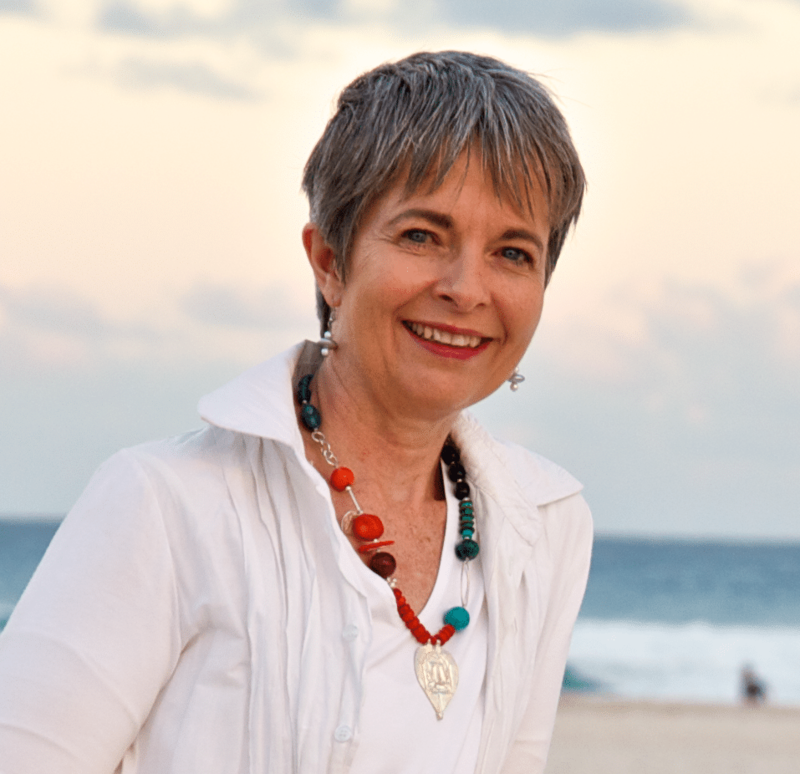 Dr Levine is an endocrinologist and researcher, who spent over 20 years researching human movement, obesity and metabolism. In the books he talks about NEAT or non-exercise activity thermogenesis. It’s a huge mouthful so I’ll just call it NEAT. It’s basically the calories that we burn through the day. As you know, our health and our weight have undergone a huge shift society wide over the last 20 to 40 years. We are much bigger that we used to be. Dr Levine talks about the average American today who weighs 26 pounds more, compared to the late 60’s and early 70’s. That’s almost two stones! Australians wouldn’t be far behind that, and while there are lots of reasons for such a huge shift, one of the biggies is the reduction of calories through the day because many of us are sitting far too much. While our weight is influenced by so much more than calories in and calories out, we are talking about a significant difference – in the hundreds of calories a day! To put this into perspective, if I do a hard gym session, for instance, I know how hard I have to work to burn two or three hundred calories off. But if you take the typical person who sits a lot at work, perhaps commutes to work and if the leisure activity is watching a lot of television, the difference in calories burned compared with someone who has quite a physically demanding job can be up to 2000 calories in a day! If we’re sitting, we burn about 5 calories per hour, however if we stand doing those tasks we triple that to about 15 calories per hour. It turns out that walking even at a really slow pace at about a mile an hour burns an amazing 100 calories an hour – a huge difference over the course of a day! As you can guess by the book titles, Dr Levine also talks about the negative effects of sitting. For instance he talks about the risk of dying from heart disease being 3 times higher for those who sit the most compared to those who sit the least and prolonged sitting doubles the risk of metabolic syndrome, (a collection of things such as high cholesterol, high blood pressure, a collection of weight around the tummy and an increased risk of diabetes and of course heart disease). Incredibly, for every hour you spend sitting, your life expectancy decreases by 22 minutes! I can remember being shocked when the research was initially released that prolonged sitting could be so detrimental to our health. In fact, when Dr Levine first released the results of his research, he copped a lot of flack, as we would say in Australia! Dr Levine cites a study in Italy involving men and women over the age of 65 where those who were the most active through the day had an impressive 30% decreased risk of Alzheimers disease! How does being more active affect our weight? To answer this question, we’ll look at a study conducted by Dr Levine where he was also one of the sixteen volunteers who were overfed by a very exact 1000 calories a day to the tune of a total of fifty six thousand calories extra over the course of the study. There was a large variation in the effects on the weight of the participants with some people putting on the whole amount of extra calories in weight while for others, their weight stayed the same. The researchers found that the participants who put on hardly anything naturally moved a lot through the day. It wasn’t formal exercise as none of the volunteers in the study exercised formally, but just how active they were through the day. Dr Levine also invented special underwear that tracked the movement of the participants every half a second through the day and in another study compared participants who were lean with those who were obese. The difference between the lean volunteers and those who were obese was that the obese participants sat for two and a half hours more every single day. To say that this stuff makes a difference is the understatement of the year. In summary we know that sitting is really, really harmful, but the protective effects and positive effects on our weight of moving more are mindblowing. Many of us sit most of the day and I’m one of them. I drive 40 minutes each way daily to and from work and I know that many people drive much more than that. I have days were I literally sit most of the day at work and then come home and jump onto the computer. We also know that many people spend hours a day watching television. I’m certainly not diminishing the importance of formal exercise. Don’t cross it off your to do list just yet! The first step in increasing your movement through the day is to be more aware of what you’re doing and I’ve developed a worksheet for you that will help you work through this and come up with ways you can incorporate less sitting and more moving into your life. As an example in my life, I can stand up during some meetings or perhaps adopt walking meetings instead of sitting down. Nowadays in my lunch break instead of sitting and perhaps having a read of my Kindle, I’ll get up and read while I’m pacing around the lawn. I’ve even made a makeshift standing desk so that I can safely stand when I’m working at the computer. Some people have treadmill desks where you can work at your computer while walking at a very low speed – around one mile an hour, making a huge difference over the course of the day. Using the free downloadable worksheet, I invite you to bring your awareness to how much sitting you’re doing through the day and what activities you’re doing. If you’re driving the kids to their activities are you sitting watching them or perhaps pacing up and down the sidelines? If you’re reading, can you stand or perhaps pace around? Can you stand or walk while talking on the phone? How can YOU incorporate more gentle movement throughout your day? The answer just might be lifesaving. 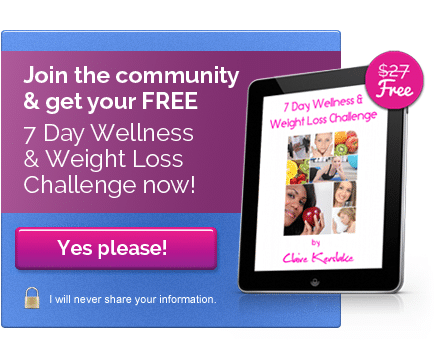 Click here to grab the free downloadable PDF to help you bring some awareness to how much neat activity you’re doing in a day, how much sitting you’re doing and what are some steps you can take to reverse that. In this post, I’ve chosen not to link to the research directly as this information is readily available in both of Dr Levine’s books. Wow! Scary sitting statistics! I was aware of how bad sitting is for one, but not to the extent your post details. Since moving my business online, oh my goodness I know I sit way too long and too much. Your worksheet will help me make some changes asap.Thanks! it’s quite alarming to hear statistics about our very sedentary society. though i’m a fairly active person, i can certainly sit for hours at a time when i’m working on a project. for awhile i had wellnomics workpace on my computer – it would remind me to get up from my chair at regular intervals, and then provide short and easy exercises for me to do. i need to install it once again on my computer. thanks for this very important information, claire! It’s a pleasure April! I’ll have to check out wellnomics workplace – an ideal solution for that regular reminder to get up and move! Sitting alot does cause some issues I agree with you 100% there! Wonderful post Claire! Thanks for sharing that with us. I’m thinking of starting my art up again and really if I paint it would be standing more. I just need to save up…etc. in order to do that. Unless there’s a grant, etc. that I could apply for. Anyway, wonderful post. Wow. Thank you for this important reminder. I definitely can tell a difference when I am more mobile on a project vs a lot of sitting time. This is a great reminder that even the mundane errands of the week can help us be healthier just by moving! I love the sheet too! Thank you Pam! Yes, it is so simple and the benefits are so great! Claire, this is such an important topic. I have a 70 minute commute to work (each way) 5 days per week. Then, when I arrive, I’m sitting and working on a computer for most of the day. I’m working on completing my degree, so when I get home, I return to sitting to work on my home computer. Add the fact that I write and post a lot for my business and my time sitting is OVER THE TOP!! It’s clearly catching up to me. I have started standing at my computer at times throughout the day and at home. Now that I know just how many more calories this burns over sitting, I will be increasing how frequently I do this. Thank for sharing so much valuable information!! Well done April on breaking up your sitting with standing. Such a simple thing to do but with powerful results! This exercise will help you to track how much sitting you're actually doing & how active you are throughout the day. From there you can then easily to brainstorm ways to increase your activity & create awesome health in your life.